Computerized machine weighs just 12 pounds; easy to take to class retreats or on travel. Comes with a hard cover and extension table. Needle up/down; needle threader; 60 stitches with max width of 5mm; 15 needle positions; drop feed dogs; more! 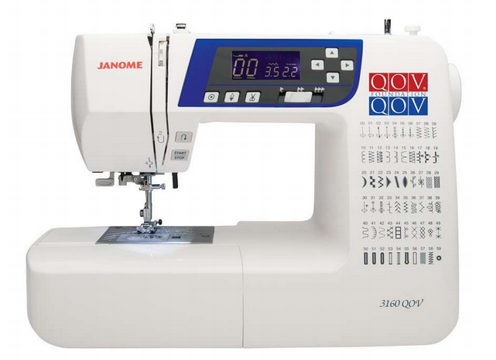 This machine sports a lovely QOV face. Computerized machine weighs just 12 pounds; easy to take to class retreats or on travel. Comes with a hard cover and extension table. 60 stitches, with max width of 7mm. Please contact the shop for pricing. 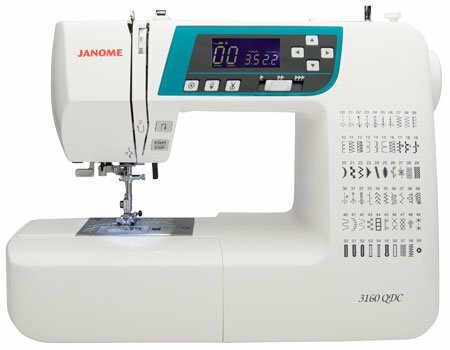 Computerized machine has 120 built-in stitches with a max width of 7mm needle up/down speed control start/stop button built-in needle threader and thread cutter; stitch pattern memory manual tension control snap-on feet drop feed and more. 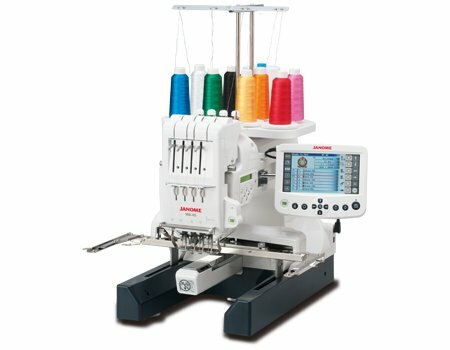 Computerized machine has 50 stitches ranging up to a maximum width of 7mm built-in needle threader 7-piece feed dog speed control soft cover jam-proof bobbin slide-on presser feet locking stitch button drop feed needle up/down and more! 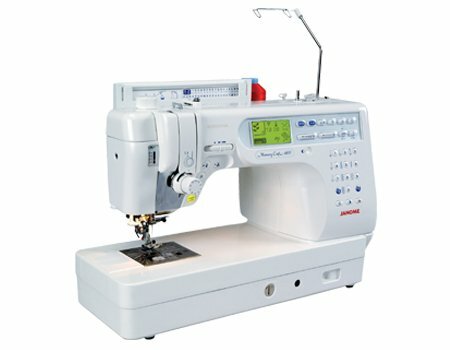 A 4-needle embroidery machine. 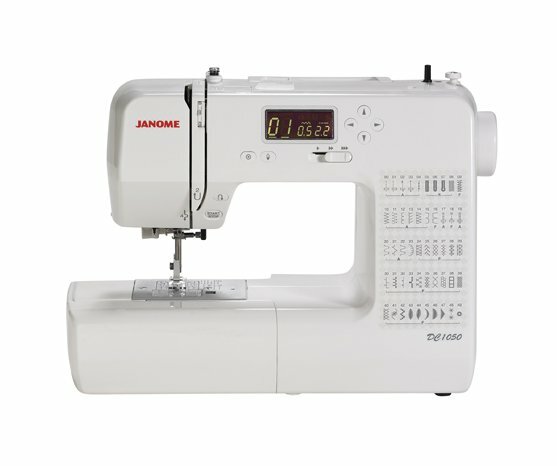 Works with most embroidery formats. 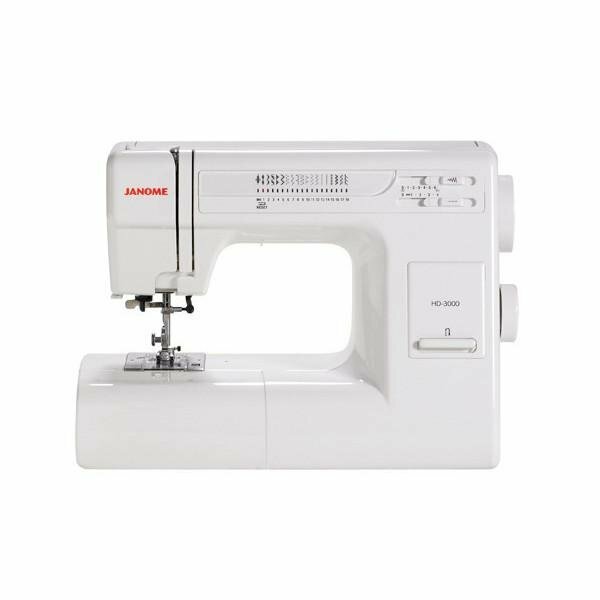 Compatible with 6 industry-standard Tajima hoops plus 4 Janome hoops. Design transfer by USB USB host. Editing functions 50 built-in designs 2 and 3 letter monogramming. More! 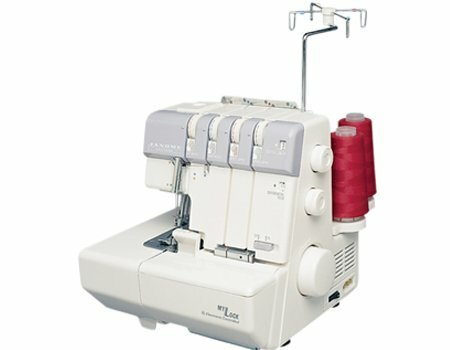 2 needle, 2/3/4 thread convertible serger, rolled hem, tension lever, differential feed, adjustable cutting width, and electronic foot control. Dust cover included. 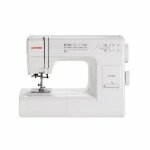 The HD-3000 is a heavy duty machine perfect for a beginner or sewist looking to do a wide range of sewing. 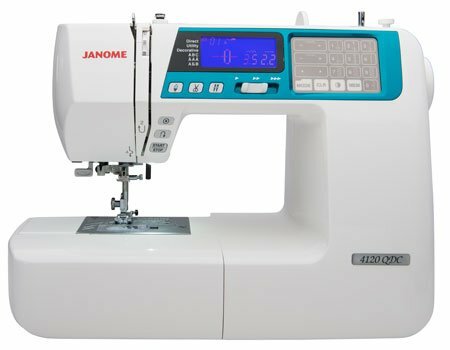 Includes instructional guide 18 stitches including 1 buttonhole stitch length and width adjustment on front of machine and a hard cover.